Spruce Up Your Commercial Landscape by Planting some New Trees! 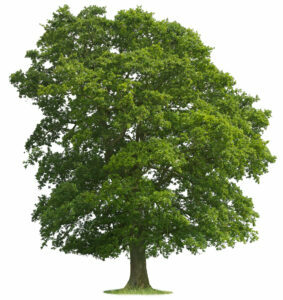 New trees, such as oak, can transform the landscaping of your commercial property. If you’re looking to create a welcoming environment for your employees, guests, and customers, you need to pay special attention to your commercial landscape. Landscaping for a commercial property is not as cut and dry as it might seem, and some would even say it’s more of an art form than a science. Different plants and trees create different feelings of ambiance. One of the best ways to transform your commercial landscape is by planting some new trees. Here are some of the best trees you can pick for a business property. It should be noted that you should be cautious about planting oak trees and other trees with roots that extend in a wide area as these can pose problems to piping. However, if it is suitable for your property, oak trees, and the Pin Oak in particular, can add a majestic look to your commercial landscape. Pin Oaks grow quickly and can easily reach 50-80 feet in height and 30-40 feet in width. Since it grows well in grass, it’s a great option for grassy parts of your property. For buildings with tight spaces, this species is perfect if you’re looking for some new trees on your property. They grow to be about 35-40 feet tall and 18-20 feet wide, giving them a tall, narrow shape like an old Roman column. For new trees that are low-maintenance, Pistaches are a good choice. They can handle nearly any kind of weather condition and will even withstand droughts once fully mature. Growing to be around 30-60 feet tall, these trees are suited for the sides of streets or next to parking lots. Their one drawback is that it can take a while for them to grow into maturity. If you want huge trees on your property, check out the Norway Maple, which can grow to be 100 feet tall and grows quickly! Not only can it grow to a massive size, it is also very wind-resistant and can hold its own in the mid-Atlantic heat and humidity of the summer. This entry was posted on Thursday, April 20th, 2017	at 8:28 pm	and is filed under Tree Care	. You can follow any responses to this entry through the RSS 2.0	feed. Both comments and pings are currently closed.